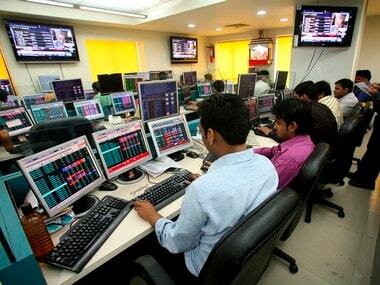 Mumbai: The BSE Sensex hit a fresh record high of 36,740.07 points in opening session today driven by smart gains in Infosys, Coal India and Wipro, despite weak macroeconomic data released yesterday. In addition, firm Asian cues and a strengthening rupee against the dollar supported the rally. Rising for the sixth day, the 30-share index spurted 191.66 points, or 0.52 percent, to hit a new peak of 36,740.07. The gauge gained 973.86 points in the previous five sessions to close at a record high at 36,548.41 in yesterday. Sectoral indices, led by IT, metal, tech, oil and gas and consumer durables were trading in the positive zone with up to one percent gains. The 50-share NSE Nifty rose 48.15 points, or 0.43 percent, to 11,071.35. Shares of Infosys gained over 1.42 percent ahead of first quarter results, scheduled to be released later in the day. Among other gainers, Wipro, Coal India, L&T, RIL, Maruti Suzuki, Kotak Bank, TCS, Adani Ports, HDFC Bank, M&M, Tata Motors, IndusInd Bank, Tata Steel and Asian Paints rose up to 3.20 percent. Public sector bank stocks, however, took a beating after weak Index of Industrial Production (IIP) and inflation data. 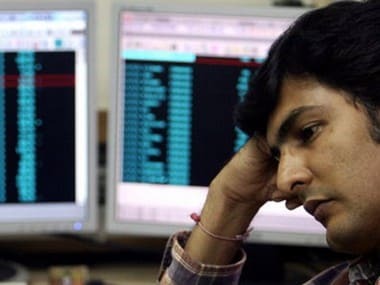 Bank of Baroda, Punjab National Bank, State Bank of India, Federal Bank were to top losers in the BSE Bankex, falling up to 4 percent. According to two sets of official data released yesterday, retail inflation spiked to a five-month high of 5 percent in June on costlier fuel, despite easing food prices, reducing the possibility of an interest rate cut by the Reserve Bank in its upcoming monetary policy review. Industrial production slipped to a seven-month low of 3.2 percent in May due to sluggish performance of manufacturing and power sectors, while retail inflation continued to remain firm in June on costlier fuel. Hong Kong's Hang Seng gained 0.58 percent, Japan's Nikkei too edged higher 1.47 percent, while Shanghai Composite Index shed 0.17 percent in early deals. The US Dow Jones Industrial Average closed 0.91 percent higher yesterday. Rising for the third day, the rupee appreciated by 23 paise to trade at a three-week high of 68.32 against the US dollar today amid easing food prices, and continued selling of the greenback by banks and exporters. Forex dealers said besides sustained selling of the American currency by exporters as well as banks, a higher opening in the domestic equity market supported the rupee. The US dollar strengthened on hopes that US inflation will pick up. However, concerns about rising US-China trade tensions capped the American currency's gains. According to two sets of official data released yesterday, industrial production slipped to a seven-month low of 3.2 percent in May due to sluggish performance of manufacturing and power sectors, while retail inflation continued to remain firm in June on costlier fuel. Retail inflation spiked to a five-month high of 5 percent in June on costlier fuel, despite easing food prices, reducing the possibility of an interest rate cut by the Reserve Bank in its upcoming monetary policy review. Yesterday, the local currency had edged up by 20 paise to end at a one-week high of 68.57 against the US dollar buoyed by a steep fall in crude prices and a strong rally in equity markets. 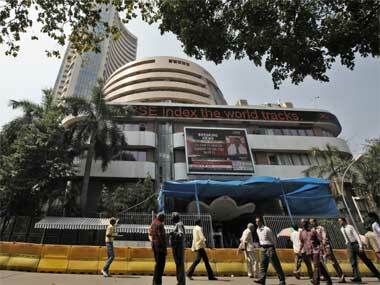 Meanwhile, the benchmark BSE Sensex was up 112.10 points, or 0.31 percent, at 36,660.51 in early trade.